A. Lewis Ward obtains favorable personal injury settlements for his clients. He has done so for more than 30 years. If you choose A. Lewis Ward & Associates, we will explain how Texas laws govern personal injury settlements and help you recover the best possible settlement for your damages. In some cases, your best personal injury settlement cannot be won without personal injury litigation. In those cases, A. Lewis Ward does not shy away from going to court to help you win. These types of damages can result from vehicle accidents, pedestrian accidents, medical malpractice or wrongful death. The more a plaintiff knows in the matter, the more effective we can be in recovering personal injury settlements. The time and effort we spend educating our clients sets us apart. We’re as tough as any other law firm, and we teach you how to be tough, too. We can help you get the personal injury settlement you deserve. Take it from people we’ve worked with; view testimonials. Read our frequently asked questions about personal injury law. 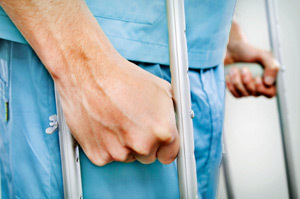 After an accident or injury, you may need help with your physical recovery. A. Lewis Ward & Associates can introduce you to a doctor. We have a large network of physicians, so rest assured that we can help meet your needs. We know trustworthy doctors who can treat you on credit if you don’t carry health insurance. If your case is an auto wreck, we are happy to aid you in finding the right business to repair your vehicle. If your vehicle is totaled, we will assist you in obtaining the fair amount for what it’s worth. We have special tips on how to deal with car insurance representatives, which will help you respond appropriately to unfair offers. A. Lewis Ward & Associates provides a high level of support to injured clients and softens the hassle and inconvenience of bodily injury. We make the overall process of winning personal injury settlements (or trials) as easy as possible for our clients. Contact A. Lewis Ward at (713) 961-5555, or email. If you have been harmed by someone else’s carelessness, call (713) 961-5555 or email today.